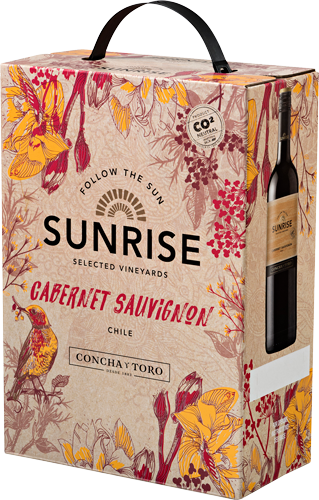 Enjoy even more of this ruby red wine with hints of black fruit and chocolate, thanks to our boxed wine. Created from grapes grown in our sunniest vineyards, this wine brightens a variety of dishes, from lamb and grilled meats to aged cheeses and spicy meat dishes such as beef fajitas. Even better? We always use recyclable packaging, so you’re doing your bit for the environment too. Well-balanced and full-boded, this wine is a ray of sunshine in your glass. Intense and harmonious, it leaves a persistent flavor on the palate. Is there anything better than this combination? Why not try out different themes, such as French cheeses vs Dutch cheeses… they´re all perfect with our Bag in Box Cabernet Sauvignon – a great way to share.